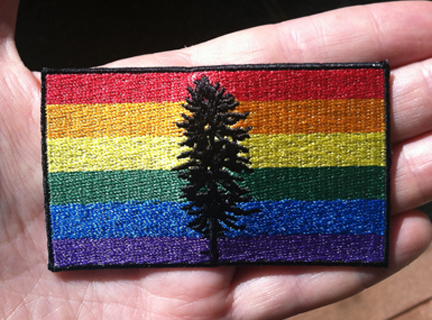 2" x 3.25" Douglas Fir Cascadia flag patch, in subdued colors like those worn on camouflage or battle uniforms in the military are now available at http://foomart.com for $3.00 each or four patches for $10.00. All orders come with free 1st class shipping within the United States. Patches come with iron-on backing, but it's recommended that you sew the patch on as well. The patches were designed by user binkitt over on the http://reddit.com/r/cascadia subreddit, so all thanks go to him for spearheading this project. They can be purchased directly from the website, or email muted.doug@gmail.com with any problems or questions.